From Ghoulish Productions comes a fantastic range of superb quality rubber masks and Horror Props for halloween. This is another superbly detailed life-size torso with bloodied stumps in place of arms. 'The Ground Crawler' is manufactured from rubber and latex foam and is film and T.V. quality. 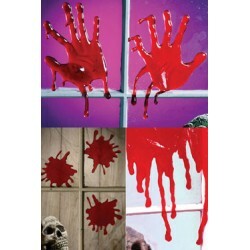 If you are looking for the best in horror props then this is for you. See our full range of Masks from Ghoulish Productions.